2017 In Review | Freedom's Hope Ministry, Inc. This past year we have had the joy of impacting 100’s of lives, in the Name of Jesus. While meeting physical and spiritual needs on a regular basis in India, Philippines, Kenya, Uganda, Nepal, Bangladesh, and Pakistan, we have been seeing a harvest of new believers. The Remote Teacher’s Project has supported 6 teachers in 6 remote villages, with an average of 12 new believers baptized a month. The children are getting an academic education with the Truth of God’s Word at the center of this wonderful experience, resulting in many new souls in the Kingdom of God, as God’s Word is also preached throughout the villages. This ministry is “spilling over” to adjacent villages throughout the region, totaling 38 churches established and over 646 souls saved–134 in 2017 alone. Gentle Hearts Children’s Home in Nepal is not only caring for 18 children in their home; but also impacting the lives of over 550 Last Christmas alone with various programs they have instituted. 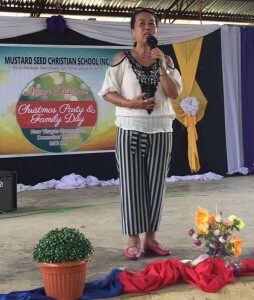 In the Dumaguete region of the Philippines, many new churches have been planted through the tireless work of June Pacleb and team. 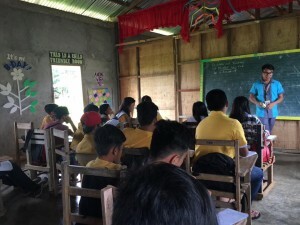 Also in the Philippines, Anita Escobar and her family in Davao Del Norte are making a huge impact on the families there, through a private Christian school offered to the poorest children in the area. (Only 5 have education sponsors at this time). Rupert Buscato, in the Phlippines continues to meet regularly with the precious poor people in Mambatagan area of Cagayan de Oro, encouraging them in the Lord and providing some milk and rice to show God’s love in action as donations allow. ALYF in Uganda, directed by Richard Sempala, is going strong, meeting the young people where they are and educating them about the sanctity of human life while saving a multitude of babies’ lives in the process. Their child sponsorship program has also grown, so we have 14 children, ages 7 through 17, with sponsors for their education and some other necessities. (Many more are needed.) Also, we are receiving monthly reports from Pakistan and India, where multitudes of people are coming to know the Lord Jesus. At the end of 2017 our ministry was able to begin supplying much needed funds for a grain mill project (much more is required), in order to provide a greatly needed service to the people in the area, and providing funds for Pastor Joe’s ministry with the proceeds. We’ve also been able to offer minister’s assistance to indigenous church planters and ministers in Indonesia, Liberia, Sierra Leone, Kenya, Myanmar, Ghana, D. R. Congo, and India. Warmest greetings from everyone at MSCSI and from our church! 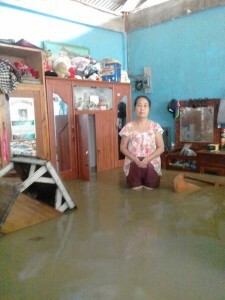 Thank God for the victory, despite of the tragic experience due to the flood from typhoon Vinta that reached almost to the waist level in our home. We can still say, God is good and praise His holy and wonderful Name! The Lord has been so good to us and the school and church for 2017. Many struggles, but God is still so good to us and the ministry because of your much needed prayers and your financial assistance. We look forward for the many good things God will do for His ministry here. The victory also is the granting of the scholarship program of the grade 7 and for the incoming grade 7 for next year, and for the coming years until they will finish their grade 10. So, next school year we are in need of two classrooms. This is the urgent need for School year 2018-2019. We have 2 months summer break, April and March and the school opening is second week of June. Please pray that the need to build the two classrooms will be met. Our second prayer request is, more grade 7 students will come and enroll. We will promote the school starting this month by going to different schools in the nearby communities. We need your prayers dear friends and partners. Thank you so much for you have been always there for us for years now and Domingo has gone already for more than four years. It is not really easy to be carrying the burdens alone but your prayers and love makes me going to do His work until His return. WE truly appreciate your kindness and prayers! May the lord will return to you many more! We are so glad to let you know that many souls are being ushered to His kingdom and my son with his wife are instruments, because they offered their lives since Domingo went home to his eternal rest. Your prayers are constantly needed. May the Lord bless you both and your wonderful ministry! 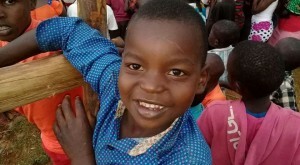 First of all we would like to give thanks to Mike and Londa (Freedom’s Hope Ministry) and village schools supporters who have tremendous and vital support for our ongoing ministry among the unreached peoples. We were able to penetrate in the remotes places and win many lost souls through their continued love, support and prayers. This is the great blessing on our ministry. We really praise God for His miraculous blessings in our ministry. We received His AMAZING GRACE! Praise the Lord!!! Places visited: The places are very remote and far from one village to another village. We need to cross the river. The terrain is very hilly, going up and down. It’s mostly jungle. We face many difficulties especially during the rainy season for landslides, mountain river floods, and leeches. Also, every visited in the villages we face snakes, wild elephants etc. We praise God for His abundant protection and keeping us in His safe hands during our ministry trips. We visited more than 24 villages in 2017. Souls saved: Since January to Nov we received 134 souls saved, 95 baptized, trained 238 church leaders, 6 churches planted, and 12 house churches established. People healed or delivered: We prayed for 87 (sick, stomach pain and different kind of problems in health& counseling) and God healed 57. God miraculously provided: God is good all the time; all the time God is good. For His blessings and faithfulness, we received His miraculous provision for our ministry. We really experienced that He neither leaves nor forsakes us. He keeps every one of His promises. We praise God for the power of the Holy Spirit; what He is miraculously doing in our ministry. We know that this is the answer to all of our prayers. To God be the glory!!! A projector set with generator for the use of evangelism, seminar or training and conference, etc. Two sound systems and one controller and Keyboard for the use of seminar, training and conference, etc. Four ministry workers monthly support. Hoping to accomplish in the New Year: There are about twenty villages in the site of our ministry areas, to which they are strong Buddhists and Pagan. Our plan is to reach them with gospel before they died and plant churches as much as possible and train up 250 leaders. May God continually bless you all. From Pastor Rubeneka in D. R. C.
We are proud to inform you that we are going to continue forming the teams of servants who will make disciples far and wide. 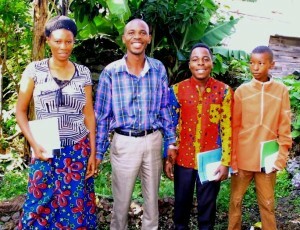 One of our centers of formation is situated in Bukavu Town, where we have 234 servants who are going to finish their training education program; composed of 50 Servants each in the neighboring villages, Kalungu, and Minova. 62 souls were saved and 34 baptisms through our ministry in 2017.
and support you are providing for the advancement of the work of God in DR Congo. us, our Lord is going to perform miracles and allow us to access to the micro credit for support of our poorest women’s church; the bibles and clothes for our Church, etc. Also, we need to have materials for completion of the church building. The work of God is going ahead, but we are experiencing some difficulties for example: We are in need of many chairs for our church building, musical instruments, etc. Thank you again for everything you’re doing to help us. The year 2017 has come to a close and it has been a year full of victories and blessings in the work of the Lord. 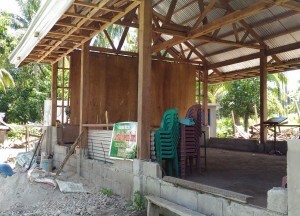 Some of our branch churches have construction projects that we were blessed to help with, such as three church roofs in Lower Baican, San Jose and Lapay. 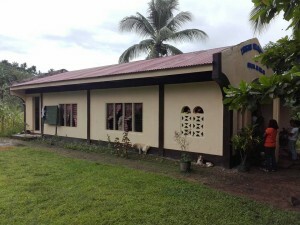 We also constructed a pastoral house in Maayong Tubig. We built a new church building, partially done, in Eli, La Libertad. We also assisted the church building in Ludgoron. Several more churches still need help for buildings and we need to buy parcels of land for new congregations. The work is expanding and we hope in the coming year we will be able to help more congregations. I was blessed to visit and have revival in eight of our branches in Carcar, Maayong Tubig, Culipapa, Lapay, Banay-banay, Bayawan, Bais, and Ludgoron. 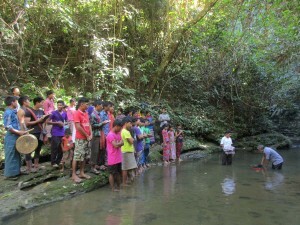 Many were saved this year and more than a hundred baptized in water. We graduated six students from our School of Ministry, and sent them on to the field where they are successfully holding churches. Every year we enroll a new group of Bible students to prepare for the ministry. We had three nation-wide conventions of our Fellowship with a very good attendance including 12 pastors coming from Mindanao Island in the south. They had to travel by boat during two very strong hurricanes, but God protected them. We are so happy to share all these victories with you. I include a few photos. 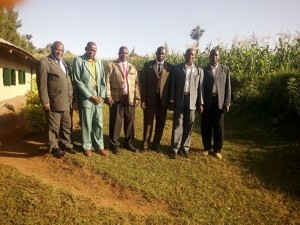 Please receive our special greetings from Kisii County in Kenya . It seem to me so WONDERful that our Most High God„met us together” trough His working grace. I do beleive that it is in God’s plan. Allow me to thank you my brother, for you are doing such a wondeful and a great work in ministry when I go all over your webiste! May God bless you and give you strength and fulfill all your needs according to His riches. He owns all the earth, He has all the recources for you and us and every ministry in need! My wife Beatrice and I, are really encourged very much seeing your ministry and reading about it every time. My brother, this past year 2017, we have had the great move of God and we had experienced His favor and many blessings from above. The Joy of our Lord has impacted many souls and lives, in the Name of Jesus Christ. By the Grace and help of God Himself, we had met physical and spiritual needs on a regular basis in our church and the entire community here in Kenya. Praise God!!!! !, we have actually witnessed the great harvest of new believers coming into God’s family through the means of preaching the Gospel. God is good all the time. 1- I was able to visit various local churches here and help in the churches and started a regularly work among children and youth which didn’t existing. 2- I was able to teach the Bible in many churches based on my theological education. 3- I was able to attend Pastor’s conference in different places here. 4- My wife Beatrice and I, were working through our church and as a volunteer in with the young orphans and young people who were raised up in the villages. 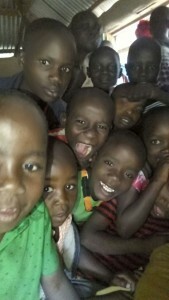 Many of these orphans have given their life to Christ and have integrated in local churches, praise the living God!!!!!!! Our Orphans who are under our care program will enjoy it a lot when our God will provide sponsorships. We will invite their sponsors and bring them in the church and stay with us for some several days so that, the sponsors to share meals, encouraging words and experiences to the orphans; and if not possible just correspondence. 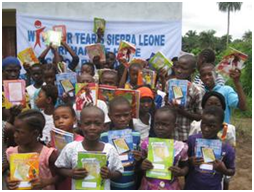 The orphans will love to share their love, testimonies, memorizing bible verses, poems and songs. But above all, our ATTENTION, CARE AND LOVE. Together with all their needs these are the most important things they do need. And our first goal, above all things is to win the children for Christ! It is amazing to see the results, the changing in their lives, step by step. Some of them are so clever; they are memorizing Bible verses, poems and all the songs we taught them. The children are getting an academic education with the Truth of God’s Word at the center of this wonderful experience, resulting in many new souls in the Kingdom of God, as God’s Word is also preached throughout the villages. 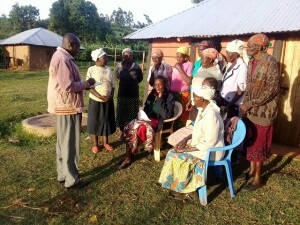 Hallelujah………..
5- The Lord is blessing the widows that are under our care program. We have 20 widows. 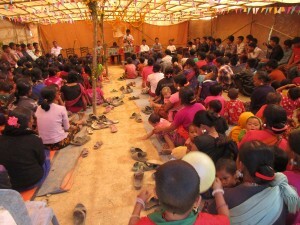 6- The Lord enabled us to perform evangelism in the remote villages house to house. Reaching person to person with the Word of God. Praise God for we reached 45 remote villages, with an average of 160 new believers made their personal decision and came to the saving Gospel and have taken their right decision to follow Jesus Christ in the remote areas. 7- We were able to perform market air meeting – crusades. Preaching the Word of God in public in the markets. With an average about 23 new believers were baptized last year 2017. 8- We were able to attend funeral services in the remote areas where we were invited to preach the saving Gospel. May souls received our preaching and made their decision to come to the Lord. 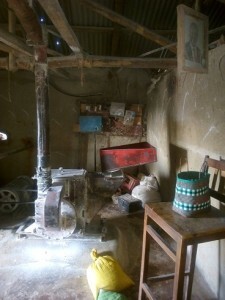 9- The Lord enabled us through the passion and right help from our dear family and God’s family – Freedom’s Hope Ministry, enabled us to purchase a posho mill from one of the sellers here. The mill is working now and it is bringing some daily financial income. 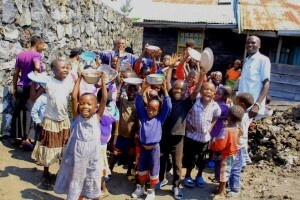 This enabled us to meet the small basic needs of the orphans here that are under our caring program. Praise God, and we thank Freedom’s Hope Ministry and the entire folks that are helping us to clear the remaining balances to clear the cost of the mill. God bless you all. 10- I was able to do small scale farming – Agricultural work at the land. 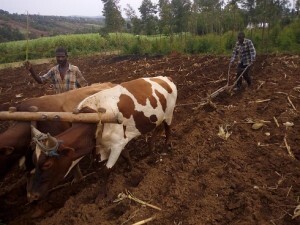 I used a plough and bulls to turn the soil – preparing the land ready to be planted. • Supporting the schooling of our orphans that are in primary and that are joining high schools next year 2019. We have orphans that are in their last year in grade 8 and are joining high school next year 2019. • We request help of a onetime funds of $ 5,000 US Dollars to purchase 20 sewing machines to help 20 widows here who have a need of sewing that can provide their daily living. 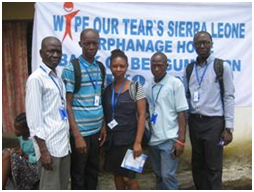 • We ask for help of $ 10,000 US Dollars to construct a church building. For we had been using a rental building by which currently the owner of the building has given us a notice of one year’s time to move out. Please help us. WHAT WE ARE HOPING TO ACCOMPLISH IN THE NEW YEAR 2018. 2- Organizing and coordinating special camp days and camp weeks, Pastors’ conferences in vacation for local churches and for the youths. 3- Visiting families to assess their social environment and attitudes, and also children’s health. 4- Recognize problems and situations which may make it hard for orphans and other disabled children to attend school regularly. 5- Help underprivileged orphans and youths to overcome obstacles to full realization of their potential. 6- Promoting tolerance and the overcoming of prejudice. If this is in God’s plan, He will provide the funds for this as well. 7- Our priority is to reach everyone for Christ. Pray for us please. We are praying for you too. May God bless you! Shalom……..